This handbook provides helpful guidance for the information services practitioner and manager. It contains a wealth of concrete information necessary for managing technology and its applications and for providing technological leadership. 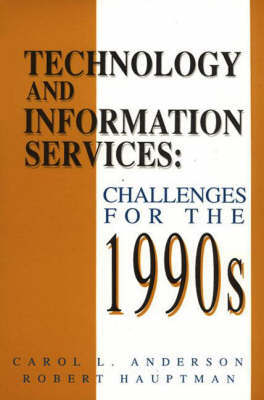 Although there are a plethora of monographs allocated to general and specific aspects of automation, computerization, and technological innovation in libraries and information centers, this volume is unique in offering a conceptual framework for implementing and managing technologies plus a detailed discussion of technologies in relation to both the needs of information seekers and the changes they have wrought in delivering services to users. The volume will also be of interest to students because it provides a historical context for recent changes brought about by technological applications, describes current practices, and explores issues and trends on the horizon.